Paper presented at the Human Performance, Situation Awareness and Automation: User Centered Design for the New Millenium Conference, Georgia. Kaber, D. B., Onal, E., & Endsley, M. R. (2000). 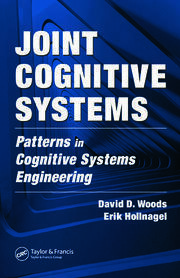 Design of automation for telerobots and the effect on performance, operator situation awareness and subjective workload. 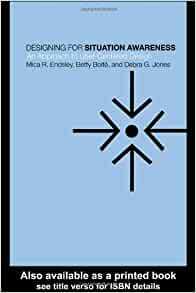 For Situation Awareness An Approach To User Centered Design PDF, indexed Designing For Situation Awareness An Approach To User Centered Design PDF or Designing For Situation Awareness An Approach To User Centered Design PDF info that are online. The approach has been defined and injected in an existing multi-agent framework for Situation Awareness and applied in a Fleet Management System. The approach has been evaluated by means of the SAGAT methodology.